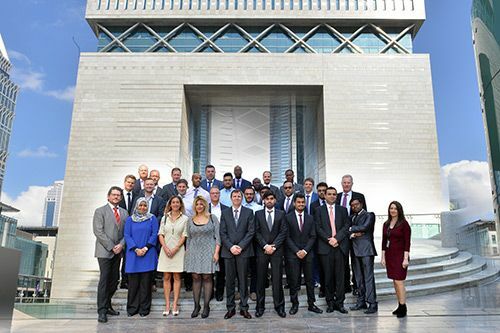 City University London held the second quarterly Induction Workshop for its MSc aviation management programmes in Dubai from 27th to 29th November. 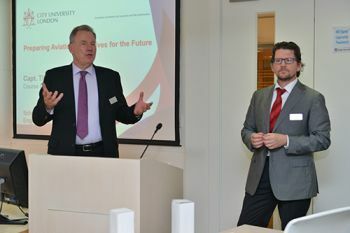 Dr Ivan Sikora, Captain Tilmann Gabriel and Samantha Roylance led the Induction Workshop. The Workshops provide an introduction to academic research and writing, finance and statistics, presentation skills and the online tools and resources that a City student needs in order to study effectively on their courses. City’s aviation masters students who are based in various major global cities, are also pursuing full-time jobs in the sector. 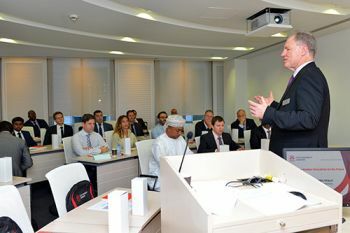 The Induction Workshop and the eight modules that they need to have passed during their MSc course are taught in London, Frankfurt and City’s teaching facility in the Dubai International Financial Centre (DIFC). Aviation safety is a term encompassing the theory, investigation, and categorization of flight failures, and the prevention of such failures through regulation, education, and training. It can also be applied in the context of campaigns that inform the public as to the safety of air travel.